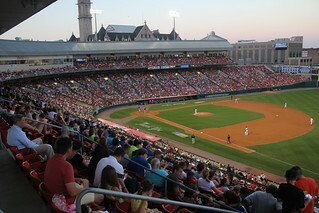 Buffalo Niagara is experiencing a renaissance only fully understood by those in the region. Yes, the national coverage is starting to come around, but our grass roots ambassadors on the ground are the reason for the momentum. That’s why we’re equipping you, a Buffalo Niagara champion, with the assets you need to better brand Buffalo Niagara. Below find common-use creative for your ‘About Us’ page, brochure, blog, or social media post. You’ll see different length descriptions of the region, facts to make the Buffalo Niagara argument, accolades to back it up, and photos sure to please any wandering eye. Also, join our Pitching Staff to do your part in better branding Buffalo Niagara. Watch this 2 minutes video with four easy steps to join the pitching staff. Buffalo Niagara’s case is best made by those on the ground. And now we’re making it easier than ever to brag about it. 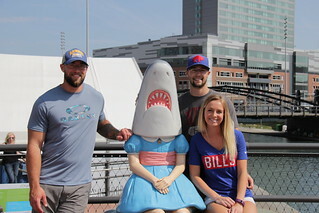 One-click share the best Buffalo Niagara content of the week. Do your part and be a Buffalo Niagara ambassador. Buffalo Niagara is a dynamic region. It’s a place to live comfortably, work productively, and play constantly. Most importantly, it is a place for you. Buffalo Niagara is a unique place to live, work, and play with arts, sports, captivating views, tasty food, a rich history and an exciting future. Buffalo Niagara works for us because Buffalo Niagara works hard. Our amazing employees are what make our organization the productive force it stands as today. 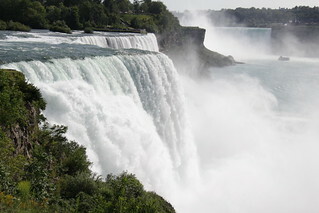 Buffalo Niagara’s low-cost hydropower from Niagara Falls allows us to run around the clock efficiently. It is also completely renewable energy, helping our region’s future. In Buffalo Niagara, closets are filled with ironed white collars and dirt covered blue ones. The workforce is hard working and well equipped for success. Buffalo Niagara is perfect for the career-focused lawyer, the empty-nest retired couple, or the brand-new family. Cost of living is low, and happiness is high. The Buffalo Niagara region is located on the western edge of New York, bordering Canada and Pennsylvania, along the shores of Lakes Erie and Ontario. Buffalo Niagara is a dynamic and resurging region. We offer a welcoming and friendly atmosphere, gorgeous sights, creative arts, rich history, compelling sports teams, downtown biking or four-wheel driving, and the chance to be a part of the revitalization of a region ascending further into the national conversation every day. 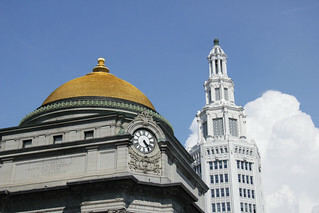 Businesses find great success in Buffalo Niagara. We have unique assets, including our strategic geographic location on the Canadian border and extensive incentive packages, that make the region as competitive as any. Whether it be rural agribusiness, city logistics, or suburban manufacturing, Buffalo Niagara supports them all seamlessly and successfully. Entrepreneur.com recently named Buffalo Niagara the second most booming startup city in the country. That is largely thanks to innovation and reliable mentors throughout the community. Buffalo Niagara offers access and affordability unavailable in other startup ecosystems. The collective creativity and collaboration has established Buffalo Niagara as a startup hub. Business in Buffalo Niagara is booming. Our rich manufacturing history has gifted us with expansive infrastructure and capabilities to accommodate the renaissance underway. Tax credits and local incentives for power, jobs, and construction are plentiful. The flexibility of the region is perfect for city logistics, rural agribusiness, or suburban manufacturing. Buffalo Niagara is a dynamic and resurging region. We offer welcoming and friendly neighborhoods, gorgeous sights, creative arts, rich history, compelling sports teams, downtown biking and four-wheel driving, and the chance to be a part of the revitalization of a once exceptional region that is equipped to be one again. Businesses find great success in Buffalo Niagara. We have unique assets, including our strategic geographic location on the Canadian border, that make the region as competitive as any. Buffalo Niagara is a great place to live comfortably, work productively, and play constantly. Most importantly, it is a place for you. They don’t call Buffalo Niagara “the city of good neighbors” for nothing. Our people and specifically our workforce is unmatched. We have a rich manufacturing history with decades of relevant experience. Workplace attendance rates are high and overtime is always welcomed. Buffalo Niagara stops when the job is done, not when the clock says 5. Our 23 colleges and universities produce thousands of graduates annually in fields waiting for fresh talent. In Buffalo Niagara, our closets are filled with ironed white collars and dirt covered blue ones. Buffalo Niagara is ready to be put to work. That’s why Buffalo Niagara. Business in Buffalo Niagara is on the rise. Our rich manufacturing history has gifted us with expansive infrastructure and capabilities to accommodate the renaissance underway. That is paired with the innovation of the area, being named second most booming startup ecosystem in the country. Local incentives for power, job creation, construction, and tax credits are plentiful. 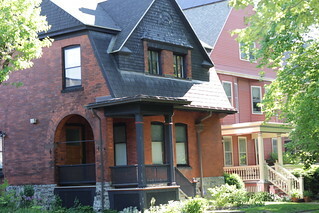 Geography is an advantage with easy access to Canada and a cross-border marketplace. Sites are readily available for move in or new build. The flexibility of the region is perfect for city logistics, rural agribusiness, or suburban manufacturing. Buffalo Niagara is open for business. And of course, home to the original Buffalo chicken wing! or click through to our Flickr page for a larger view. Download what you please and use them in your next Buffalo Niagara brochure or blog. Large scale copying of content for commercial use requires express written consent of Invest Buffalo Niagara. When applicable, credit Invest Buffalo Niagara.